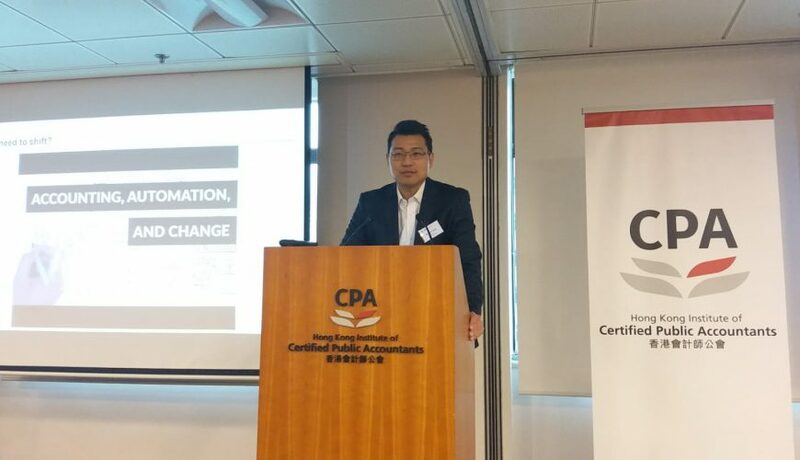 As a member of Hong Kong Institute of Certified Public Accountants (HKICPA), Link-Pro CPA was invited to join Education Symposium – jointly organize with the Education Bureau (“EDB”) with a view to provide secondary school teachers who teaches the Business, Accounting and Financial Studies (BAFS – ????) of the HKDSE, the latest information about the accountancy profession, as well as financial and cost accounting in practice on 3 July 2018. We were deeply honoured to be invited to share our thoughts on how to properly use cloud technology a new business strategy to help accountants thrive in a highly competing environment.As accountants, our topic focused on cloud accounting techniques and how it could benefit start-ups, accountants and small- and medium-sized entities in the most efficient way when it comes to financial management. We illustrated the idea behind the term “cloud accounting,” which is that cloud accounting computation brings all company financials together in one place and makes them available anytime, anywhere and on any internet-connected device.